I recently sat down to reflect and brainstorm how I could boost my productivity without sacrificing those little in-between moments I love so dearly. Here’s what I’ve been practicing and have found super helpful to make the most out of my daylight! Recently, I’ve been changing up my self-care routines. Why? Because life is always changing and sometimes that shifts where I’m at mentally, emotionally and physically. I started venturing out of my comfort zone to try new forms of self-care - here are 5 new ways I’m lovin’ on myself this Winter! Today I challenge you to have the courage to find the happiness within YOU, no matter your current outside circumstances. It may be easier said than done, but nothing worth having comes easy, right? So, how do we do this? 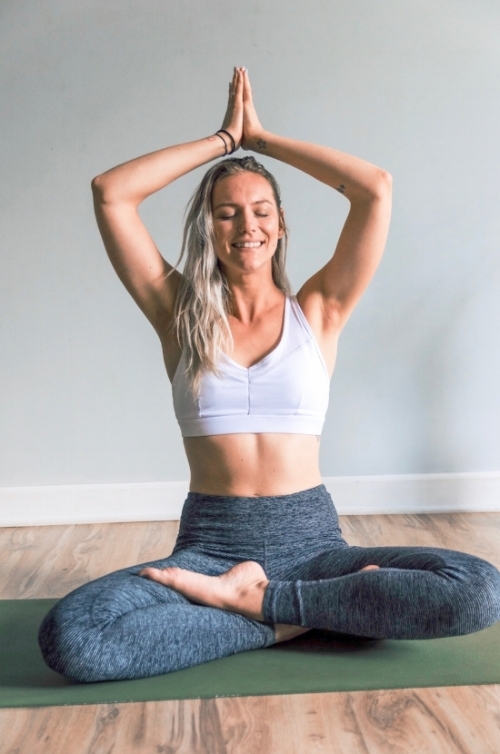 Yoga is sincerely a personal journey of the mind, body and soul, and since the start of this journey, yoga has had a snowball effect on my life. I've started to pay more attention to the decisions I make regarding not only my diet and physical health, but also mindfulness and emotional well-being. My life has flourished since I started to bring my yoga practice off my mat and into my daily life. I'm here today to share some of these happy habits! If you've been feeling stuck or just plain uninspired, these ideas will help you manifest that inspiration back into your life! Welcoming June, Summer And ADVENTURE! I think of June as the month of exploration and discovery. This is the perfect time to go out on a limb, hop outside your comfort zone and land in a new adventure! Adventure presents itself through anything from travel, to starting a new job or even just learning a new hobby. Here, you’ll find the inspiration you need to believe that your adventures are truly limitless. Learning how to incorporate the use of essential oils in my daily life has helped me take giant leaps towards a more holistically healthy lifestyle. Not only have I replaced certain medications with a simple drop of oil, but I get to enjoy these health benefits while also filling my home with a blissful aroma. In this post, I’ve broken down the different was to use essential oils and a list of my particular favorites. Whether you’re looking for a natural alternative to skincare products, hoping to add some relaxation to your days or even just for the delicious fragrance, I’ve got you! Nourishing our bodies with a healthy and balanced diet will keep us feeling good from the inside out. Truthfully, I haven't done anything too crazy, but I'm making small changes each day that are helping me build a perfectly suited healthy lifestyle. In this post, I share the few things I’ve eliminated from my diet, the best whole foods to add and all the ways that these small changes have made me feel brand new! Hello, I’m here to remind you how important it is to take care of yourself throughout your mission to take care of the world. Today, I challenge you to take a few selfish moments to feel proud, to rest & allow yourself to sit with gratitude for everything you’ve already accomplished in life. Rediscover your peace because you deserve it. Happy May, loves! Nature’s beauty is in full bloom, and so shall we be! Join me in welcoming May, Growth and planting the seeds of our future. Coconut oil is being found everywhere nowadays. 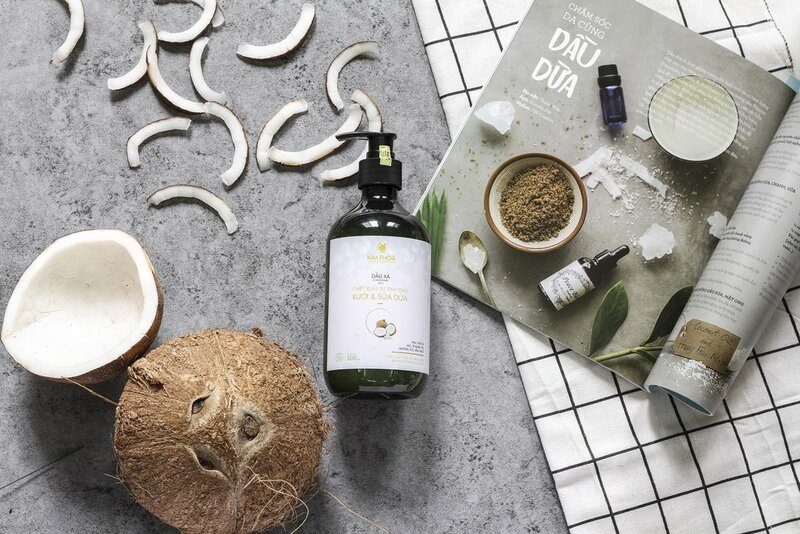 From frying pans in the kitchen all the way to hair and beauty products, coconut oil seems to be the answer to countless health and wellness questions. It doesn't hurt that it's totally affordable, either (I buy Trader Joe's coconut oil for about $6)! I use coconut oil in almost every aspect of my life. There's a jar in my bathroom for use in my daily skincare routine, a jar in my bedroom to use with essential oils, and in my kitchen for cooking and recipes! There are countless health and beauty benefits just waiting to be used up in each jar of coconut oil. One of the most popular being it's ability to boost your metabolism and provide the body with clean, sustainable energy throughout the entire day. The concentration of beneficial fats in coconut oil also makes it a great aid for not only digestion, but also hair growth! It's natural antioxidant properties and abundance of Vitamin E makes coconut oil a perfect product to add to your skin/hair care routines and a warrior in the fight against wrinkles! Lauric Acid- This makes up 40% of the fat composition in coconut oil. The body converts this acid into Monolaurin, which is beneficial for immune function. Capri Acid- The body converts this to Monocaprin, which has immune boosting and antimicrobial properties. All of these MCFA's have properties that are both beneficial to the body and easy to digest. The medium chain fats in coconut oil are not stored or digested in the same way as long chain fats found elsewhere, which is arguably why coconut oil is good for both weight loss, skincare and brain functionality! Use for "oil pulling"- swish around your mouth for a couple minutes to reduce toxins in your mouth and also moisturize! Mix a tablespoon coconut oil with a tablespoon of chia seeds for an all-day energy boost! There you have it. 58 uses of coconut oil, and I'm sure I've only scratched the surface of the health, beauty and household benefits that this versatile oil has to offer. I'll keep adding to this list as I experiment with my own daily routines and see where else I can sneak in the use of coconut oil! What do you use coconut oil for? Leave a comment below! In honor of April being Earth month, I'll be sharing a small series of posts (leading up to Earth day) that include some tips and suggestions for living a more eco-friendly lifestyle! Yay! We'll cover everything from making your showers more green to adjusting your small, daily tasks. In making these simple changes, you can feel good knowing you're doing your part in our efforts to maintain a clean planet.